Ok….when’s the joke gonna end? The Colorado Avalanche last year were horrific. Don’t remember? Let me refresh your memory. The Avs finished with 39 points, good for last in the Western Conference and 2nd to last overall in the NHL (thanks Florida). They scored just 2.38 goals per game (5th worst) and gave up 3.12 goals per game (4th worst). Their powerplay operated at a strong 15.0% (7th worst) and their penalty kill was at 80.3% (20th best). There was absolutely nothing good about this team. 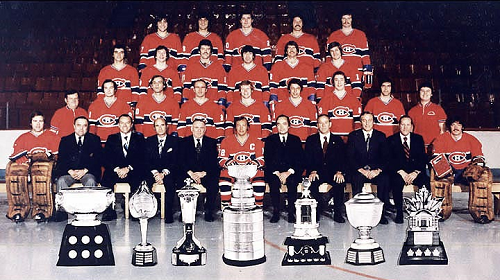 Insert new head coach Patrick Roy. This season, the Avs are 6-1-0, good for the 2nd best record overall. They are scoring 3.29 goals per game and giving up a miniscule 1.43 goals per game (tops in the league). Their powerplay is clicking at 23.1% and their penalty kill at 85.7%. Goaltender Semyon Varlamov, who had a 3.02 GAA and a .903 SV% last year has a 1.68 GAA and a .950 SV% behind largely the same defensive unit. So….what gives? This roster is largely the same as last years, save the addition of #1 overall pick Nathan MacKinnon. But he can’t be the entire difference, right? MacKinnon has played well so far, accumulating a goal and 6 assists through the first 7 games, but he’s not the big difference. No, the Avalanche are playing a vastly different style, one that borrows a little bit of what John Tortorella likes to do on defense and what Todd McLellan likes to do on the forecheck. I’ll try and break it down for you through a series of pictures and video clips so you can understand why this Avalanche team is for real. Let’s start with the goaltending. Semyon Varlamov has always been a goaltender that had a lot of potential but never really delivered. Ever since his sensational postseason run in the 2009 playoffs, Varlamov has failed to deliver. He’s got a career GAA of 2.61 and a SV% of .912%. . A significant reason for his failure has to do with his goalie mechanics. Enter Patrick Roy, arguably the greatest goaltender of all-time, and his former goaltending coach Francois Allaire. 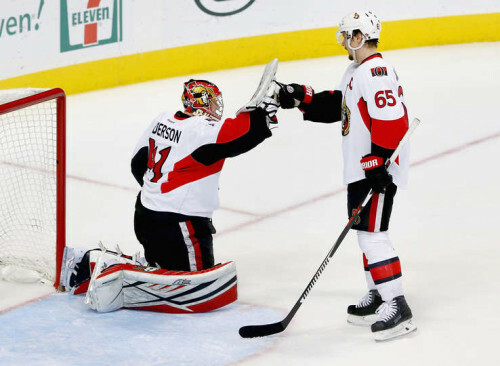 Allaire has a goaltending system known as “5-S” which is predicated on having a goaltender master fundamentals and understand how to move simply and swiftly through each of them in every type of hockey situation. 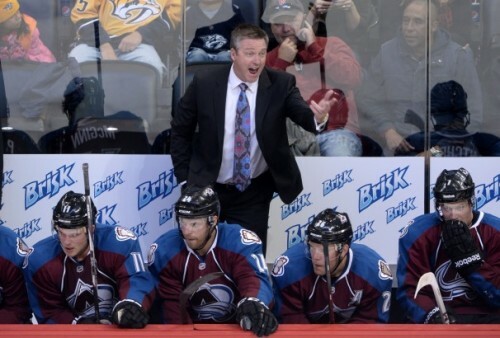 Patrick Roy calls out from his bench. I went through and watched every single goal Varlamov gave up last year and came away with some interesting observations. Varlamov was beat from an average distance 20.2 feet and he was beat 50 times on the blocker side, 34 times on the glove side, and five-hole 15 times. However, there were two things that really stood out to me. First, out of the 101 goals given up by Varlamov, I only counted 13 truly bad goals. I further stratified his stats, looking at what was the average distance he was beat at during even-strength play. I found out that Varlamov was beat from approximately 22 feet. I wanted to see how this compared to other teams that had a better defensive structure so I looked at the Chicago Blackhawks‘ Corey Crawford. I found that while Crawford’s average distance for all goals compared favorably to Varlamov’s (20.9 feet to 20.2 feet), at even strength the story was different. If we throw out the one goal where Crawford was beat from center-ice, I found that Crawford was beat from approximately 17.2 feet at even strength compared to 22 feet for Varlamov. While that may not seem like a significant difference, it actually is. Varlamov is getting beat from 20% farther than Corey Crawford, so we know that there is something wrong with his positioning or ability to make reads. That’s where Patrick Roy and Francois Allaire come in. They’ve overhauled Varlamov’s positioning and have his glove higher, his movements crisper, and by instilling the 5-S system into his mind, they’ve taken some of the indecision out of his game. Now the obvious question is, what are Varlamov’s numbers for this season so far? Well Varlamov has played in 6 games so far and has given up 10 goals. 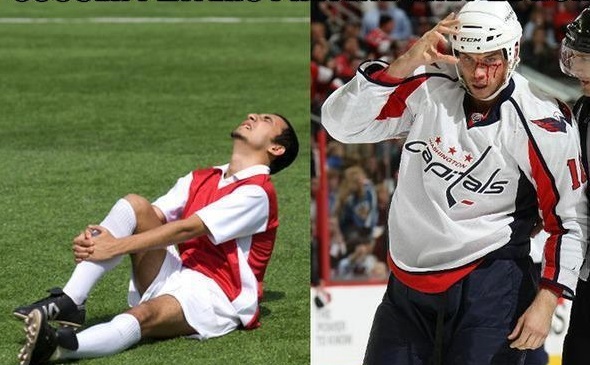 The average distance for the 10 goals given up is 15.6 feet. If we throw out the powerplay goals, we are looking at 13 feet. Varlamov has done a fantastic job in the early part of this season at minimizing the goals that beat him from a distance. Last year, Varlamov gave up 11 goals (15.1%) from 40 feet or further at even strength, but this season the longest shot he’s allowed in at even strength is from 27 feet. The positioning adjustments have helped greatly, but they are not the sole reason why the Avs defense has improved so greatly. Another major find from watching Varlamov’s goals was the large number of rebounds he kicked out. Last year, I counted 15 goals that resulted from rebounds that Varlamov kicked out. When a goaltender kicks out a rebound, often times he has very little control of where it goes, save for long-distance shots that can be blocked away to the corner. It is the responsibility of the defensemen to tie up the opposition in front of the net and clear away those rebounds. When I started to watch the positioning of the defensemen, I almost threw up when I saw just how poorly they were positioned. Take a look at this picture from a game last year against the Detroit Red Wings. If you take a look at this screenshot, you may have to look away in horror. Yes, the Red Wings are on a powerplay, but look at the coverage in front of the net. The defenseman at the goal line is vastly out of position and is doing nothing to take away the passing lane to the front. There are two Red Wings players in front of the net, both of whom have their sticks on the ground without an Avs player anywhere near them to tie up the sticks. What would you have Varlamov do? The Wings scored easily here and there are several instances from last year where the defense was so atrocious that it made it impossible for Varlamov to make the save. 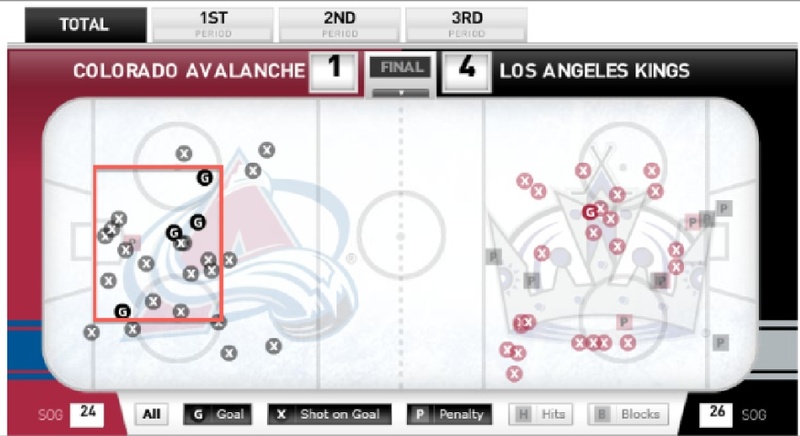 Take a look at this GameCast shot chart courtesy of ESPN from a game last year against the Los Angeles Kings. That red box highlighted is probably the most dangerous scoring area on the ice. You can see from the graphic that the Kings took 26 shots on goal. Of those 26 shots, 19 occurred in the danger zone along with all four of the goals that they scored. At the exact same time, you can look at what a structured defense can do by looking at the other end of the graphic. The Kings are a very structured defensive team and you can see how they limit shots in the danger zone. The Avs took 24 shots on goal, but only nine were in the danger zone. Patrick Roy has instituted a very structured defensive system this year and has vastly limited the amount of shots in the “danger zone”. Let’s look at the shot chart from the Avs last game against the Red Wings. 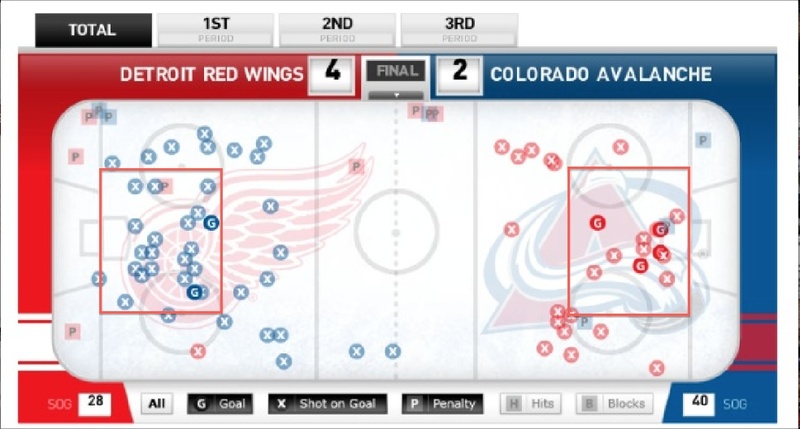 This time, the Wings were able to put 28 shots on the Avs’ net. However, only 14 of those shots occurred within the danger zone. The Avs managed to limit the potent Detroit offense to only 14 shots (50%) in the danger zone. Compare that to 73.1% allowed last year in the game against the Kings. On the flip side, look at how many times the Avs were able to break down the structured Red Wings’ defensive system. The Avs put 40 shots on goal, and 21 were in the danger zone. That’s 52.5% compared to 37.5% in the game against the Kings. The Avs have adopted a strategy used by John Tortorella that involves collapsing closer towards the periphery of the danger zone, making passes across the crease very difficult This allows the Avs to keep a majority of shots to the perimeter which allows Varlamov an adequate amount of time to square up to the shots. The Avs have essentially reduced the quality of shots that Varlamov is facing and he’s building confidence. Offensively, Patrick Roy has allowed the skill of the Avs’ forwards to take over. In years past, the Avs’ defensive system was predicated on hustling back to their own zone as soon as the puck is turned over. Under Roy, as soon as the puck is turned over, Roy has his forwards pressuring the defensemen immediately with their speed. Have you seen Matt Duchene and Nathan MacKinnon skate? Those guys can absolutely fly. Their speed has forced so many turnovers as defensemen are forced to make quicker decisions. I reviewed some tape from some games from the Avs last year and took a look at their forechecking. Take a look at the forecheck here. This is a fairly standard 1-2-2 forecheck, with 1 guy high pressing and a guy taking away the defenseman’s forehand passing options. However, this is a fairly passive forecheck, one not adept at forcing turnovers. Patrick Roy has changed that a bit. He’s allowed the Avs to employ some 2-1-2 which is a very aggressive forecheck that requires a lot of speed and skill because players need to be able to recover if they are beat. Good thing the Avs are absolutely loaded with speed. 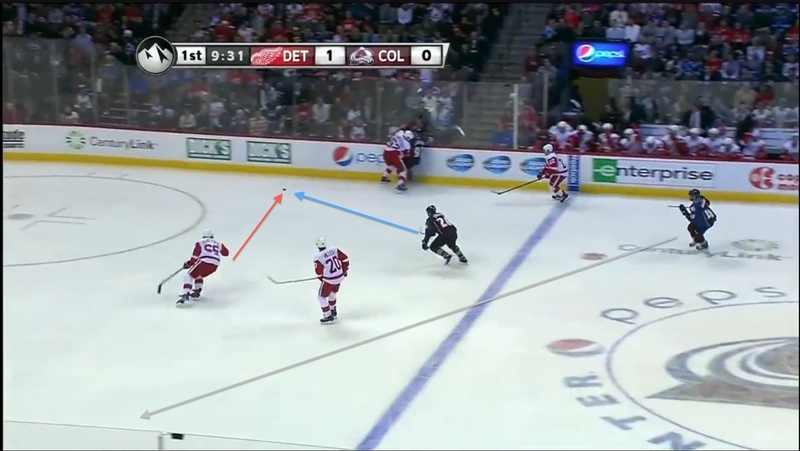 Watch the Avs use a 2-1-2 forecheck here against the Wings. Ok let’s breakdown this forecheck. We can see the puck in the upper part of the picture frame. Red Wings’ defenseman Jonathan Ericsson has taken out his man and now it is defensive partner Danny Dekeyser’s job to retrieve the puck. 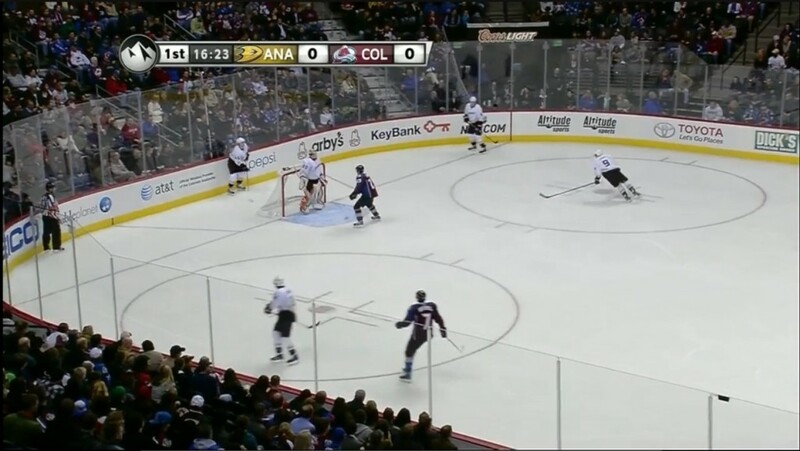 In years past, the Avs would follow the forecheck format illustrated by the arrows. However, let’s see what actually happens. We can see that while Paul Stastny has lost the race for the puck, he’s chosen to use his speed to put pressure on Dekeyser. In years past, he most likely would have peeled off as Avs’ forwards were instructed to recover to their defensive zone early after a turnover. 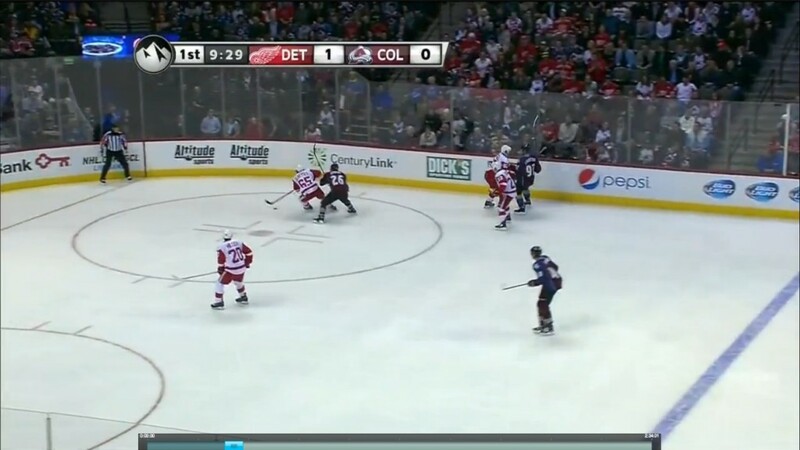 Look at how aggressively the Avs attacked the Red Wings’ defense here. There are two guys below the goal line and a 3rd positioned right in front of the net. The Avs actually ended up forcing a turnover and centering a pass to Gabriel Landeskog who was absolutely robbed by Detroit netminder Jonas Gustavsson. This aggressive forecheck is very similar to a tactic often employed by San Jose Sharks‘ coach Todd McLellan. The Avs have been able to pressure all teams like this so far while playing sound defense and keeping shots to the perimeter. These are the two biggest reasons along with the tinkering of Varlamov’s technique as to why the Colorado Avalanche are a legitimate threat. And guys, they are for real. As long as they keep up this aggressive forecheck and use their speed to their advantage, they will be a difficult team to beat. 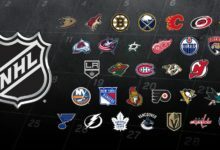 They’ve already proven that by defeating the Anaheim Ducks, Toronto Maple Leafs, Boston Bruins, and Washington Capitals by an aggregate score of 15-3. Those four teams were all in the playoffs last year and three of those victories were on the road. Prepare yourselves Western Conference, there’s an Avalanche coming, and it’s here to stay. Check the roster, the Avs defense is totally different from last year. Hejda is the only one that played the whole season, Johnson missed 17 games and Wilson missed 36. Sarich, Benoit and Guenin are new. MacKinnon and Tanguay are new to the forwards and Downie only played a game and a half last year. See? Not the same team. Great Article! I've noticed a change in the way they've been playing this year, but I couldn't really explain HOW. 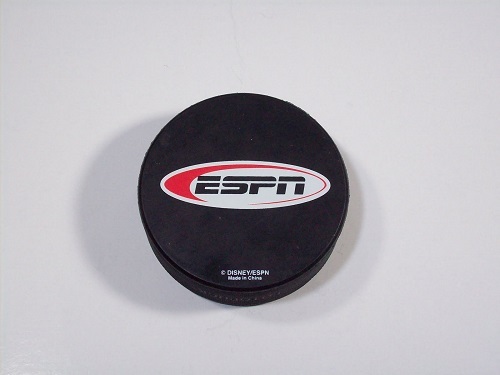 They just seemed more aggressive with less puck dumping. You really explained it in a way that I understood just how bad we were last year with Sacco.